Technoflex® is proud to announce that their innovation, Dual-Mix®, has received the award for Excellence in Pharma in the Packaging category. It was chosen from among more than 250 candidates across 17 categories at the 2018 CPhI Pharma Awards. Dual-Mix® is a patented dual-chamber bag designed to hold a medicine in powder/lyophilizate form and its associated diluent. It enables the packaging of unstable molecules which need to be reconstituted just before administration to the patient. 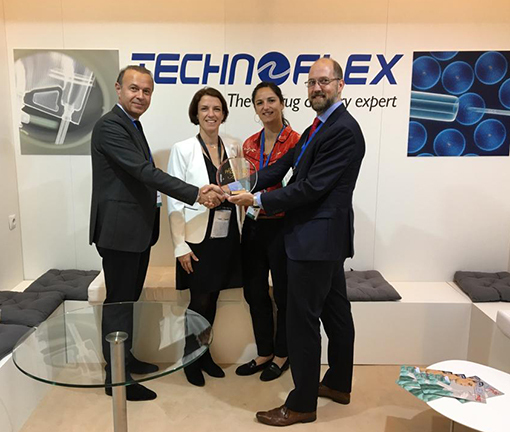 “Dual-Mix® is a major breakthrough in facilitating and improving safety for nurses and for patients, making reconstitution of the right dose easy to perform, at the patient’s bedside” highlights Dr. Olivier Chesnoy, CEO of Technoflex®. Each year, CPhl brings together more than 100,000 professionals in the global pharmaceutical sector. 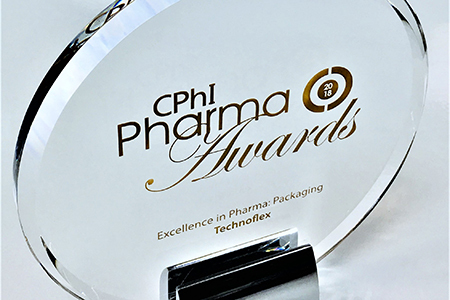 Launched in 2004, the CPhI Pharma Awards promote innovative pharmaceutical companies and give recognition to the new approaches that are driving the pharmaceutical sector. With the support of pharmaceutical associations and leading partners, the CPhI Pharma Awards are amongst the most prestigious in the pharmaceutical sector.